Kampala. It all started on October 16, 2015. 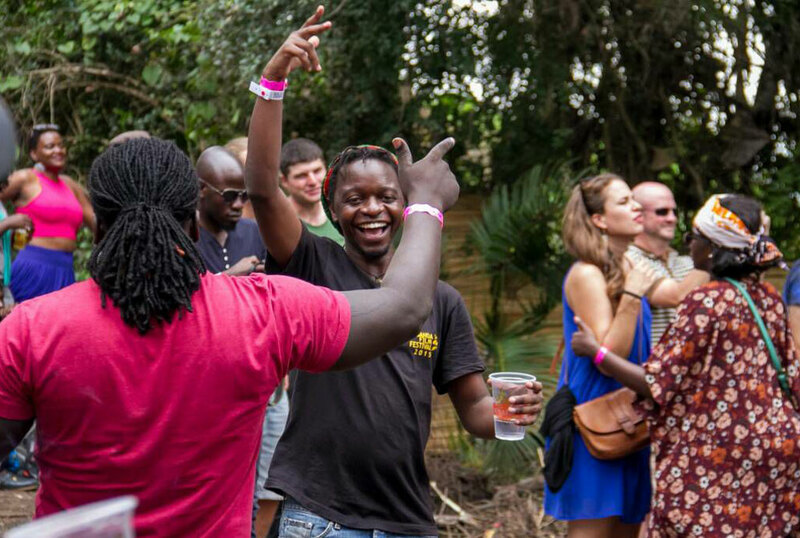 The festival, that had been marketed as Jinja’s premiere celebration of music, was finally on. For many people, this was a chance to take the fun out of town. The first Nyege Nyege was an intimate affair, on a Friday night. We must have been less than 200 people and by 10pm, a few performances had taken place. But when rain started pouring at midnight during one of the DJ sets, people refused to leave the grounds and continued dancing in the rain, and this became the legacy of the festival. That year, rain had defined it since it never stopped for all the three days of the festival. The crowd was mostly Kampala’s art tourists, the faces common at Bayimba International Festival, Writivism, World Music Festival in Entebbe to Doadoa Performing arts market, but Nyege Nyege seemed like their chance to loosen up, dance in the mud and indulge more. By the time that particular edition ended, word of mouth and social media posts were enough to make those that were not in Jinja believe they had missed the biggest party on earth. That edition, I had not carried a tent thus, I slept in a hotel in Jinja but checked out in the morning and spent other nights in other people’s tents, this too became a culture for the festival friendlies. Unlike other festivals, Nyege Nyege is different for its non-stop party attitude; the party kicks off on the first day and goes on until the final day. By mid-2016, the adverts had been rolled and the crowds grew, in 2017, with more press and interest from sponsors, socialites too started flocking the Nile Discovery. Vendors, mostly those selling food were increasing but it was mostly those making rolex [chapatti rolled with eggs] that were making a killing since other foods were more costly. Last year, it is said the festival was attended by more than 10,000 people with over a dozen buses coming from Nairobi in Kenya, Kigali in Rwanda and as far as Lilongwe in Malawi. They usually leave on Monday morning and stop partying when the sound stops at 8am and refer to themselves as the true celebrants of Nyege Nyege because they respect the urge, which is the Luganda derivative that gives the festival its name ‘ekinyegenyege’.